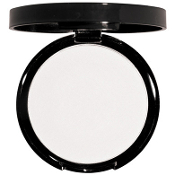 What It Is: Sheer, universal blotting powder. Helps prevent oily breakthrough without drying skin; leaves skin smooth, fresh and matte. Puff included. What's Inside: Vitamin C & E condition skin and provide antioxidant protection. How To Use: Swirl a large brush onto powder and tap off excess. Apply over entire face or on areas that need mattifying effects.